ILS Automation serves laboratories that perform many experiments to develop and understand biological processes. 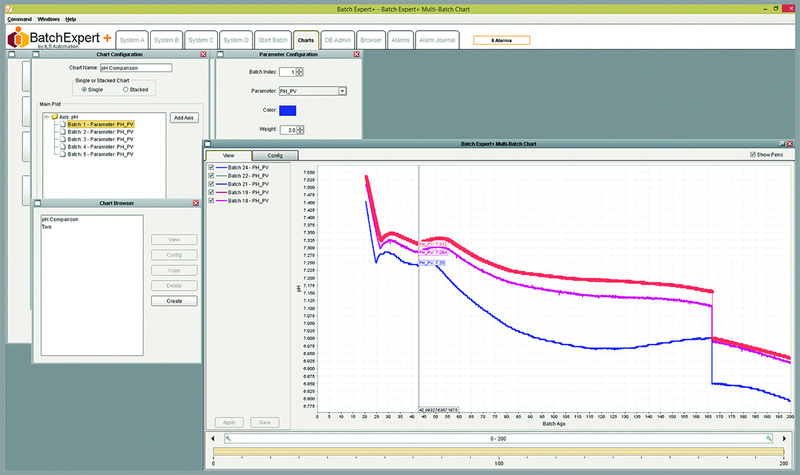 The goal of these experiments varies but usually involves optimizing strain and operating conditions to increase yield. In addition, some product may be extracted for downstream process development, such as separation. Also, batch data is slightly different than a continuous process in that the absolute time is not as important as batch age, where batch age usually starts after inoculation. Several real-time or historical batches are compared simultaneously. ILS Automation provides a solution, referred to as Batch Expert+, designed for laboratories that perform experiments to develop and understand biological processes. Batch Expert+ is deployed at several Fortune 500 pharmaceutical companies and at several small, startup-size companies. Batch Expert+ has several layers based upon the customer’s specific needs. 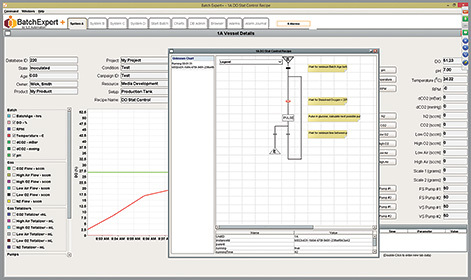 At its most basic level, Batch Expert+ is a traditional SCADA that provides data acquisition, a batch data historian, remote control, alarming, and basic reporting. To facilitate the simultaneous comparison between realtime or historical batches, ILS Automation extended Ignition charting to easily support batch-age on the x-axis. An additional key component is recipe-based control. 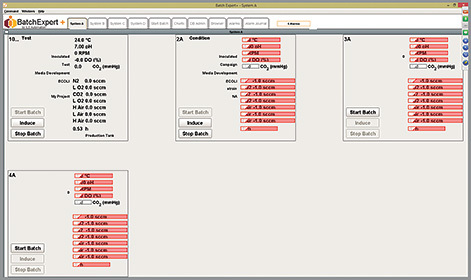 Typically, batch processes refer to the ISA-S88 standard for recipe control. The Ignition Sequential Function Charts are closely aligned with ISA-S88. ILS is working to ‘wrapper’ the SFCs in a way that meets our customer needs. A second layer of Batch Expert+ is managing the planning, execution, analytical offline analysis and final reporting of batch data. This layer has several distinct audiences that may or may not be the same person or groups of people. This includes batch planning, where the planner designs the experimental conditions and required sampling/analytical analysis. The second group manages the actual execution of a planned batch and the sampling. The third group is an analytical group that takes a sample and reports the results. The last group is responsible for reporting and analysis of data. These tasks are dependent on both tight databaseintegration and real-time data integration.Ignition provides these capabilities in a platform that is pliable to differing needs and requirements of our customers. 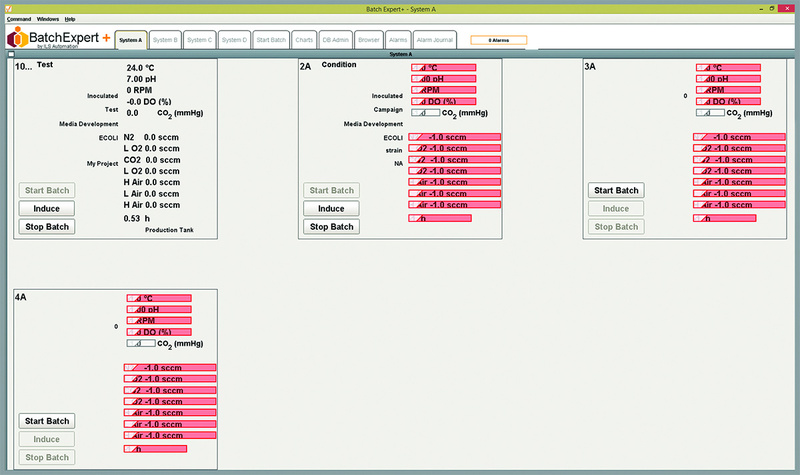 This screen provides an overview of the batch process data at a quick glance. 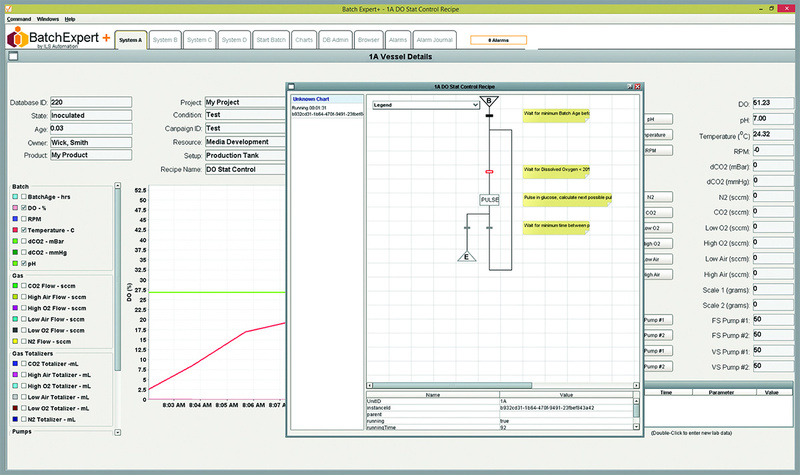 With the use of Sequential Function Charts, the user has more control over varying data.